We have a detailed listing of luxurious villas for rent in Hanoi but villas for rent in Ciputra Ha Noi is one of the best place in Hanoi which attractive most foreigners to stay. Almost all villas are designed in modern and spacious style, included garden with the size ranges around 126 m2, 198 m2, 210 m2, 350 m2, etc. All every villa includes 4 or 5 bedrooms, living room and kitchen, every floor has 2 toilets. We feature fully furnished villas, which are equipped with bed, closet, washing machine, refrigerator, desk, sofa, telephone, internet, cab TV, etc. Ciputra owns a lot of high-end villas for rent, which are located in green campus and surrounded by green open space, where residents can live in harmony with nature. All villas in Ciputra Hanoi has been specifically designed for peaceful living, contributes to improve the quality of life. Entering into Ciputra likes step into a widen world, which is the perfect combination of living, working, shopping, relaxing, entertaining. Ciputra owns an ideal geographical location, covering a total land of 300 ha, which consists of apartments, condominium, shopping malls, detached villas or semi-detached villas or houses. Based on a your needs, a decision is made in favor of a furnished or an unfurnished villas. Unfurnished property is more cost-effective. Fully furnished villas for rent will be more expensive compared to unfurnished property. 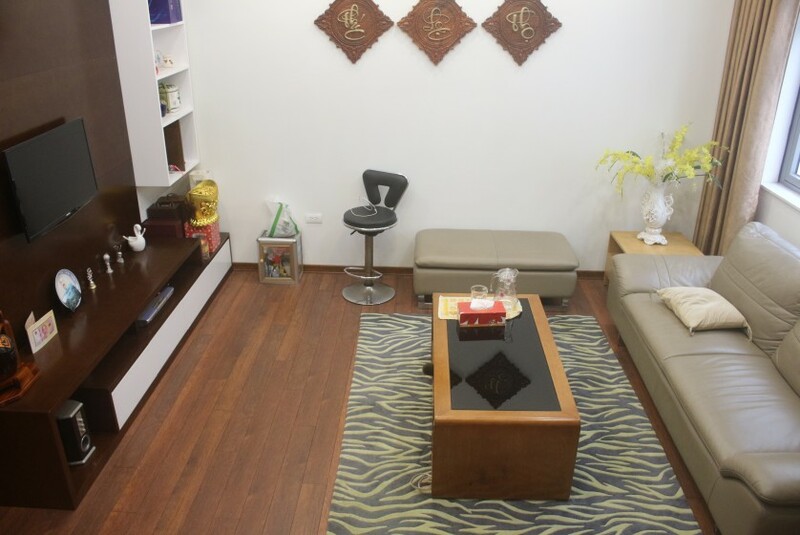 If you want a long-term rental, furnishing a property yourself will be better. 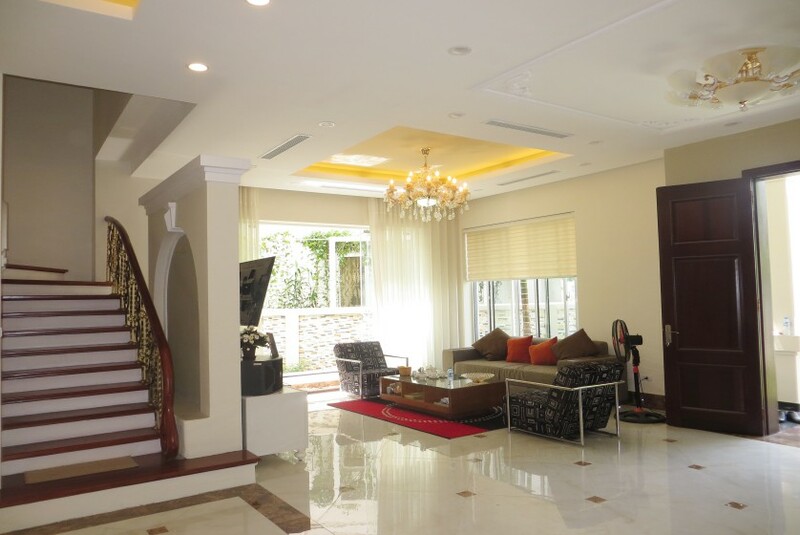 Villas for rent in Ciputra Hanoi owns the most romantic location of Hanoi’s southern, just several minutes far away from Hanoi center to the North West, easily access the 3th ring road, some minutes far away Noi Bai Airport, Tay Ho area where there are lots of villas for rent in Tay Ho and Hanoi center. Luxury Ciputra villa for rent are designed in 5 different design styles and sizes. The Ciputra Hanoi villa complex is a masterpiece of elegance, simplicity and in harmony with nature. Both bedroom and living room own expansive windows, that allows residents to fully enjoy high quality living standard and balance life in harmony with nature. In the stage 1, semi-house and villa includes: G1, G5, G6, G9, G10, C1, C2, C4, C5, C7, D1, D2, D3, D4, D5 areas (completion year 2007) and Stage 2 includes: T1 to T9 areas, completed in 2009. 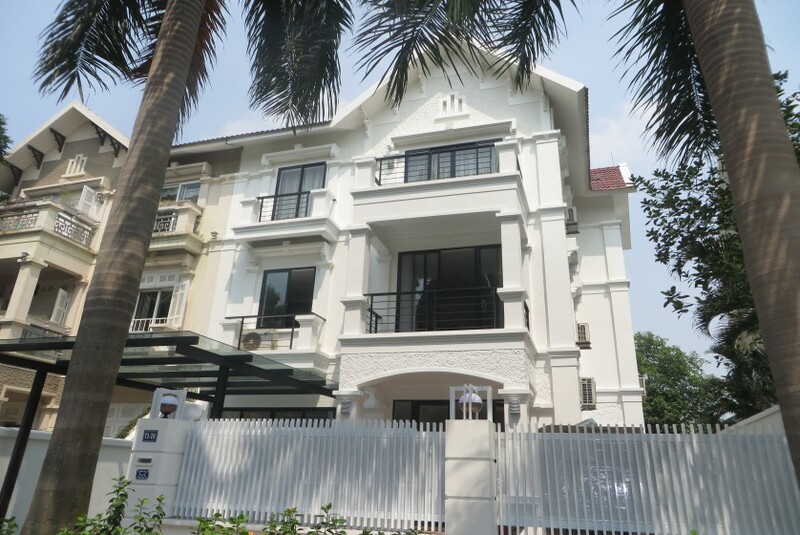 The landed villas and houses in Ciputra Hanoi come with land area from 126, 150, 180, 217, 330, 350 sqm, all houses and villas with 3 stories, the living area are big with 4 to 6 bedrooms, 1 living room and kitchen area at 1st floor, gardens and court yards, and garages. Let’s explore the impressive arrangement of local or international cuisine in restaurants, café, bars in commercial center of Ciputra Hanoi or simply reward yourself for working so hard. Other utilities includes UN International School, Singapore International School, Hanoi Academy School, Kinderworld Kindergarten, future hospital, sports center, swimming pool, tennis court, amusement park, playground, Green road for walking and cycling, food court, green ring road and more. Everything you need is right on your doorstep. 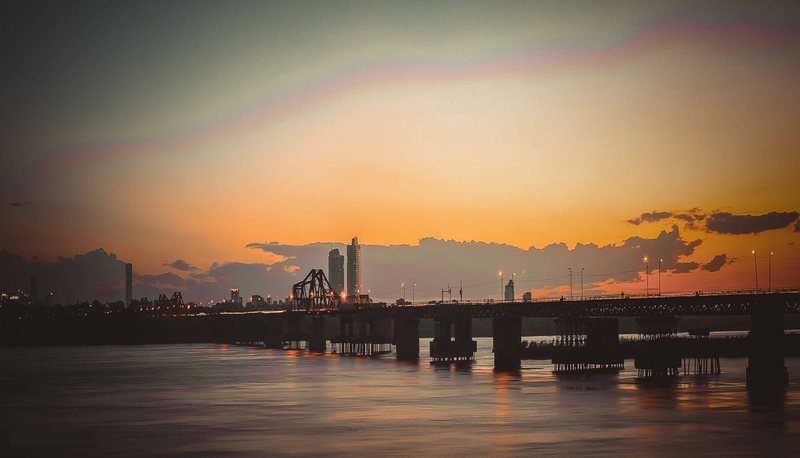 Located in the commercial area in master plan of Nam Thang Long urban area, consists of hotel, office, shopping mall and other urban area. Streets are broad, spacious, clean, surrounded by green trees and flowers bloom in 4 seasons. Ciputra is protected by high walls and reliable barrier, that provides good privacy and security. Professional security guards are always 24/24 on duty and required to carry out regular patrol. Sanitation: streets and sewerage system are always clean and clear, bringing fresh air. Every block C, D, G, T,…owns a children’s playground and green campus. Sport amenities: tennis court, private swimming pool is in every area. L1 & L2 have Club House. Parking: With villas all residents can park in your inside garage, in courtyard for large villa or a long the streets. Electricity: there is no power outage. 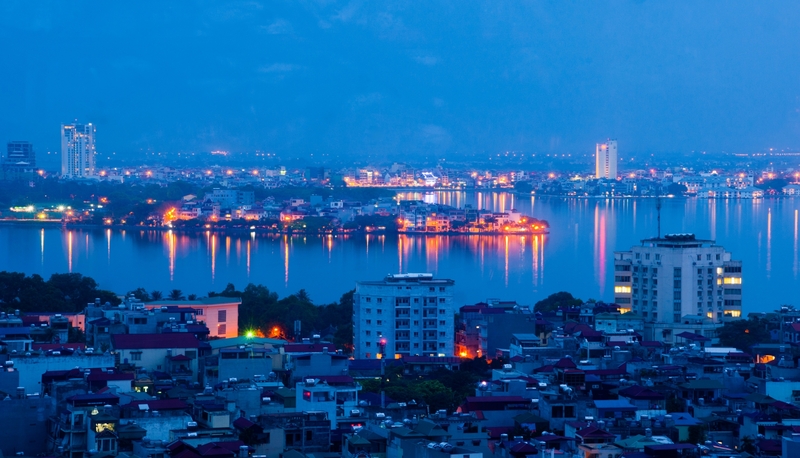 Ciputra Hanoi complex is well-known as an ideal urban area to honor the true value of life. The building’s aspect offers a good view towards the green campus. 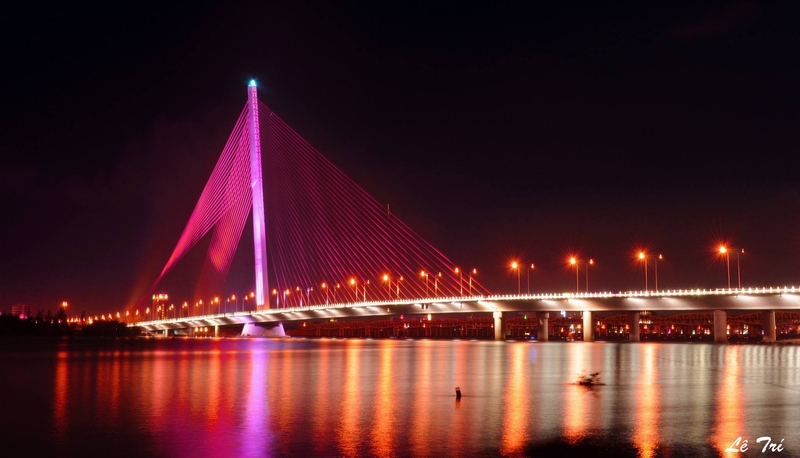 Ciputra is the most luxury and largest urban area in Hanoi, which are designed in modern and impressive style. The Central Park Villas is committed to offer a distinctive life for you in the heart of the city. 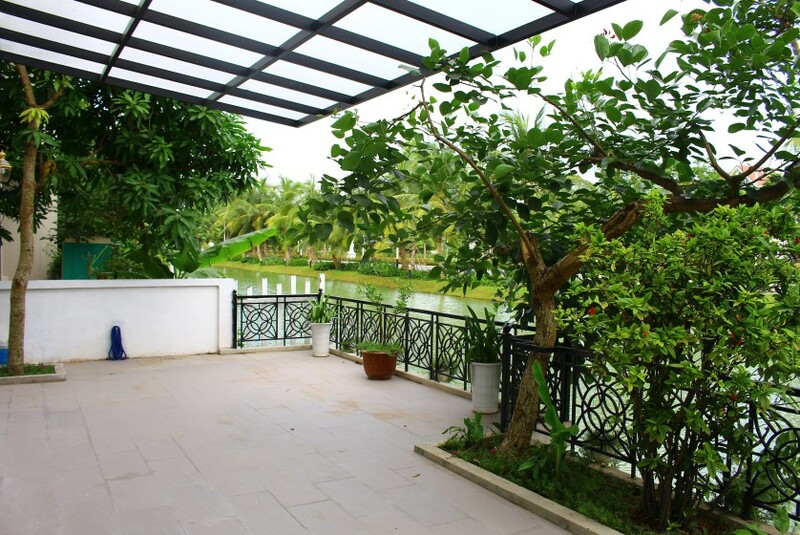 High-end luxury villas in Ciputra Hanoi is encompassed by innumerable green campus, which is fullfilled with sunshine, wide-open view of parks, lakes and nice houses around. The hues of fresh green scenery and freshwater surface will wake up and energize your mood everyday. Ciputra Hanoi offers 5 swimming pools in apartment buildings, Gyms, tennis courts, eco paths, 24/24hr reception and security, technical staffs instantly support to house problems. There are many luxury restaurants: Jafa at G2 building, L place Minimart, Techcombank at E4, Hung Long mini mart at E1, K Mart at L2 and K Mart at P2. Contact to Golden Lodge Real Estate for further information about this Ciputra Hanoi complex. Or see listings of villas in Vinhomes Riverside Hanoi to compare. 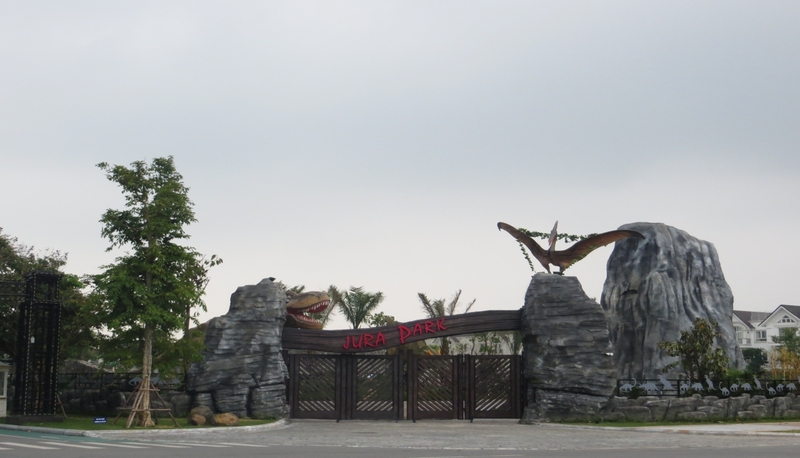 This complex located in Long Bien district and is one the best place to choose to live.